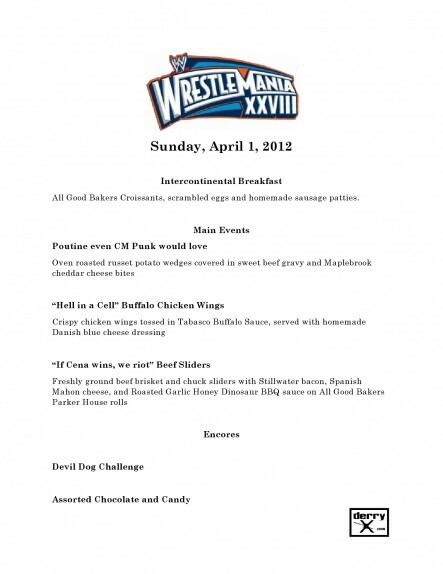 Those of you who have been following on the twitters and facebooks have been getting little teasers here and there with my plans for Wrestlemania 28. I’ve been dropping little hints about things that were going to be on the menu, and those of you who follow closely enough probably even saw the menu that showcases fresh and local ingredients that I put together for the night. 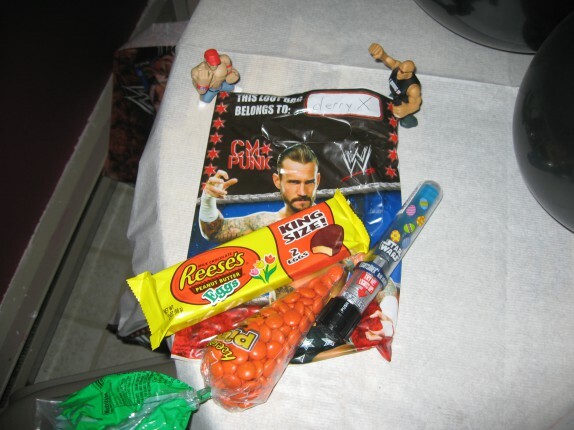 It was a rather challenging and aggressive day of cooking, but with the help of The Fat Lantern and Cassie, we got the whole thing out and were able to sit down and enjoy the pay per view event. We started the day with an Intercontinental Breakfast. 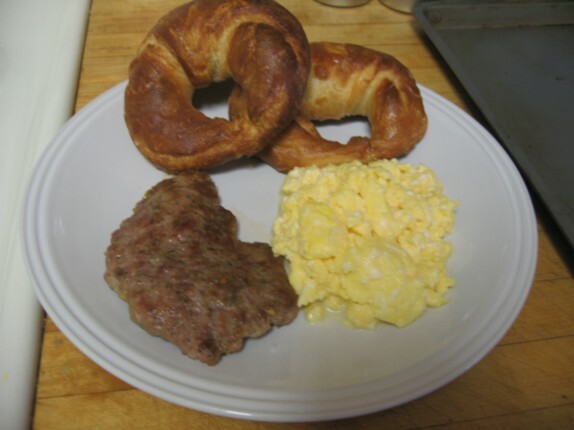 I purchased some croissants from All Good Bakers, cooked up some of my homemade breakfast sausage, and slowly scrambled some eggs. After relaxing for the rest of the morning and buying some comic books, I got to work on the rest of the meal. 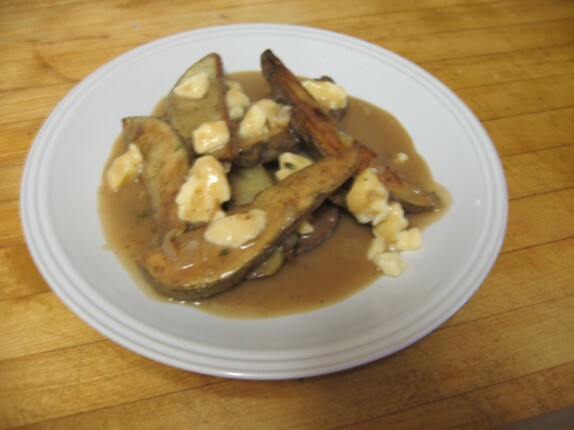 The first thing to be plated was the “Poutine even CM Punk would love” (Oven roasted russet potato wedges covered in sweet beef gravy and Maplebrook cheddar cheese bites). 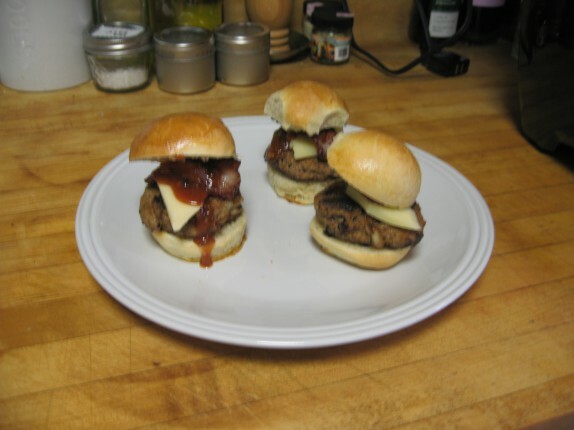 The “‘If Cena wins, we riot’ Beef Sliders” (Freshly ground beef brisket and chuck sliders with Stillwater bacon, Spanish Mahon cheese, and Roasted Garlic Honey Dinosaur BBQ sauce on All Good Bakers Parker House rolls) were our main course and were amazing. 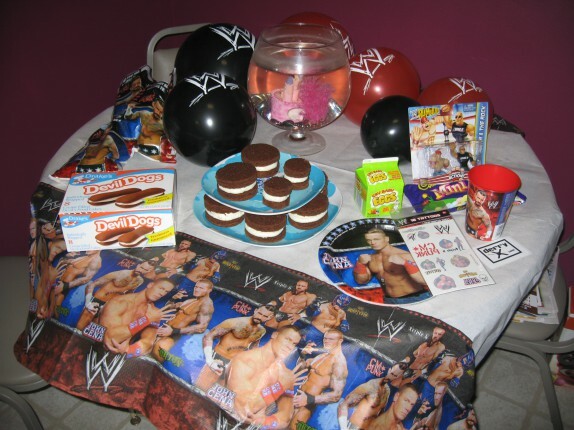 I put together a table with some snacks for the event. And we did the 2012 Devil Dog Challenge. 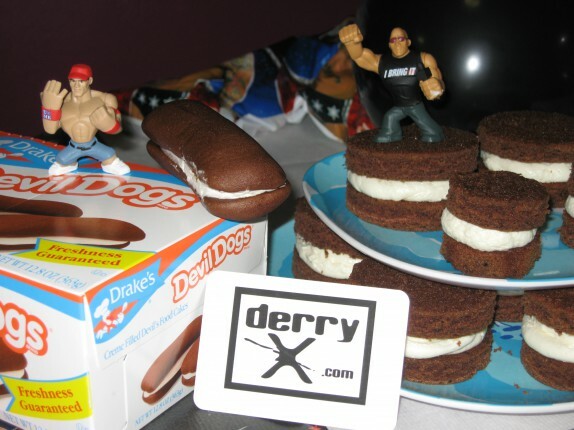 For this we pitted store bought Drake’s Devil Dogs against Cassie’s skills and a recipe on the internet. 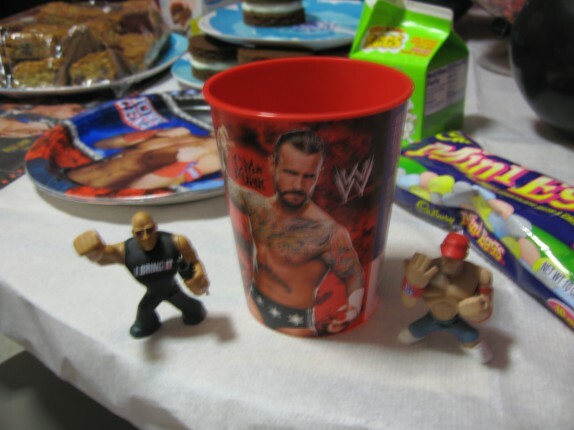 as well as a commemorative WWE plastic cup as a memento of the evening. Like I said, it was tons of work, but it all went off without a hitch, except the fact that The Rock and The Undertaker stink. 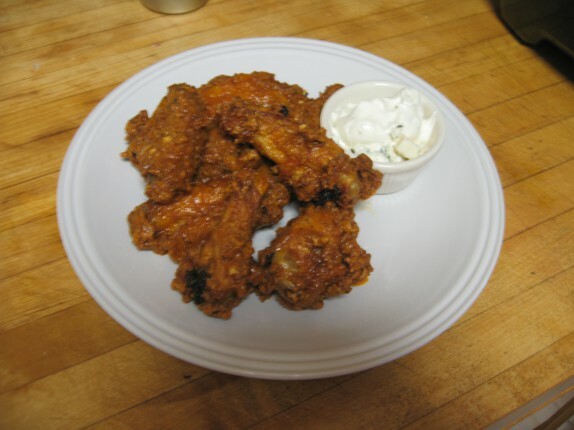 And also like I said, keep it locked in here for some recipes you don’t want to miss. My mother always told me that presentation was very important. While she was not a Wrestlemania fan, I think she would have appreciated how nicely you stuck to your theme.